I read this article and found it very interesting, thought it might be something for you. 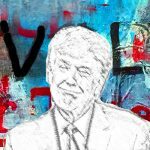 The article is called Peter Turchin: Entering the Age of Instability after Trump and is located at http://evonomics.com/science-predicting-rise-fall-societies-turchin/. Cliodynamics is a new “transdisciplinary discipline” that treats history as just another science. Ten years ago I started applying its tools to the society I live in: the United States. What I discovered alarmed me. My research showed that about 40 seemingly disparate (but, according to cliodynamics, related) social indicators experienced turning points during the 1970s. Historically, such developments have served as leading indicators of political turmoil. My model indicated that social instability and political violence would peak in the 2020s (see Political Instability May be a Contributor in the Coming Decade). The presidential election which we have experienced, unfortunately, confirms this forecast. We seem to be well on track for the 2020s instability peak. And although the election is over, the deep structural forces that brought us the current political crisis have not gone away. If anything, the negative trends seem to be accelerating. My model tracks a number of factors. Some reflect the developments that have been noticed and extensively discussed: growing income and wealth inequality, stagnating and even declining well-being of most Americans, growing political fragmentation and governmental dysfunction (see Return of the Oppressed). But most social scientists and political commentators tend to focus on a particular slice of the problem. It’s not broadly appreciated that these developments are all interconnected. Our society is a system in which different parts affect each other, often in unexpected ways. Increasing inequality leads not only to the growth of top fortunes; it also results in greater numbers of wealth-holders. The “1 percent” becomes “2 percent.” Or even more. … from 1983 to 2010 the number of American households worth at least $10 million grew to 350,000 from 66,000. Rich Americans tend to be more politically active than the rest of the population. … In technical terms, such a situation is known as “elite overproduction.” … Elite overproduction generally leads to more intra-elite competition that gradually undermines the spirit of cooperation, which is followed by ideological polarization and fragmentation of the political class. This happens because the more contenders there are, the more of them end up on the losing side. A large class of disgruntled elite-wannabes, often well-educated and highly capable, has been denied access to elite positions. This was written when Donald Trump was known only as a real estate mogul and reality show host; well before this presidential election characterized by an unprecedented collapse of social norms governing civilized discourse—“epic ugliness”, in the words of the New York Times columnist Frank Bruni. The victory of Donald Trump changes nothing in this equation. The “social pump” creating new aspirants for political offices continues to operate at full strength. In addition to politically ambitious multi-millionaires, the second important source of such aspirants is U.S. law schools, which every year churn twice as many law graduates as there are job openings for them—about 25,000 “surplus” lawyers, many of whom are in debt. It is emblematic that the 2016 election pitted a billionaire against a lawyer. Another visible sign of increasing intraelite competition and political polarization is the fragmentation of political parties. The Republican Party is in the process of splitting up into three factions: Traditional Republicans, Tea Party Republicans, and Trump Populists. These divisions run so deep that many Republicans refused to endorse Trump, and some even voted for Clinton. 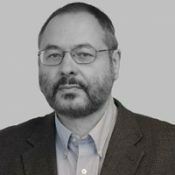 Similar disintegrative forces have also been at work within the Democratic Party, with a major fault line dividing Bernie Sanders’ Democratic Socialists from the Establishment Democrats of Obama and Clinton. So far in this analysis I have emphasized elite overproduction. There are two reasons for it. First, as I mentioned before, other factors are much better understood, and have been discussed, by social scientists and political commentators. Second, cliodynamic research on past societies demonstrates that elite overproduction is by far the most important of the three main historical drivers of social instability and political violence (see Secular Cycles for this analysis). From what I have seen so far, it seems unlikely that the Trump administration will succeed in reversing these negative trends. And some of the proposed policies will likely make them worse. For example, drastically reducing taxes on the wealthy Americans will hardly strengthen fiscal health of the state. But this is a science-based forecast, not a “prophecy”. It’s based on solid social science, the workings of which I have left “under the hood” in this article intended for a general audience. But the science is there. If you are interested in looking under the hood, see my recently published book, Ages of Discord. Because it’s a scientific theory, we also need to understand the limitations of what it can forecast. Cliodynamics is about broad social trends and deep structural causes of these developments. It did not predict that Donald Trump would become the American President in 2016. But it did predict rising social and political instability. And, unless something is done, instability will continue to rise. So what’s to be done? I find myself in the shoes of Hari Seldon, a fictional character in Isaac Asimov’s Foundation, whose science of history (which he called psychohistory) predicted the decline and fall of his own society. Should we follow Seldon’s lead and establish a Cliodynamic Foundation somewhere in the remote deserts of Australia? This would be precisely the wrong thing to do. It didn’t work even in Isaac Asimov’s fictional universe. The problem with secretive cabals is that they quickly become self-serving, and then mire themselves in internecine conflict. Asimov came up with the Second Foundation to watch over the First. But who watches the watchers? In the end it all came down to a uniquely powerful and uniquely benevolent super-robot, R. Daneel Olivaw. No, the only way forward is through an open discussion of problems and potential solutions and a broad-based collective action to implement them. It’s messy and slow, but that’s how lasting positive change usually comes about. Another important consideration is that in Foundation Seldon’s equations told him that it would be impossible to stop the decline of the Galactic Empire—Trantor must fall. In real life, thankfully, things are different. And this is another way in which the forecasts of cliodynamics differ from prophecies of doom. They give us tools not only to understand the problem, but also potentially to fix it. But to do it, we need to develop much better science. What we need is a nonpolitical, indeed a fiercely non-partisan, center/institute/think tank that would develop and refine a better scientific understanding of how we got into this mess; and then translate that science into policy to help us get out of it. Our society, like all previous complex societies, is on a rollercoaster. Impersonal social forces bring us to the top; then comes the inevitable plunge. But the descent is not inevitable. Ours is the first society that can perceive how those forces operate, even if dimly. This means that we can avoid the worst — perhaps by switching to a less harrowing track, perhaps by redesigning the rollercoaster altogether.